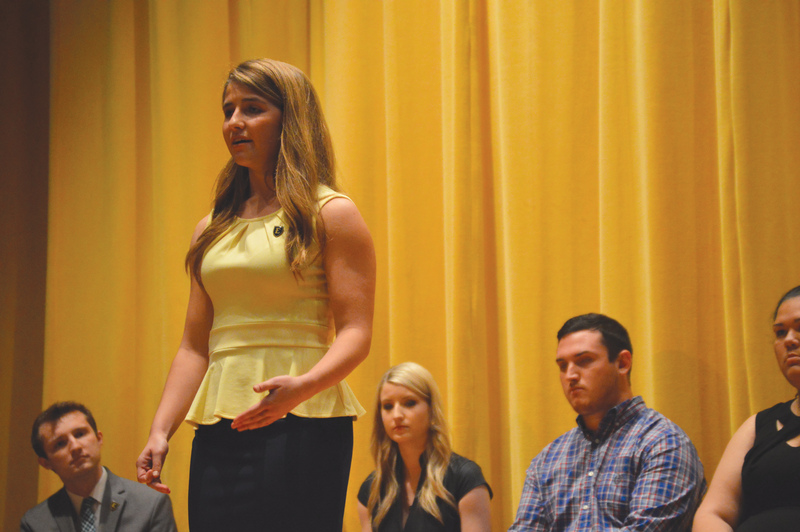 ETSU Student Government Association executive branch candidates took the stage in the D.P Culp Auditorium on March 27 to debate diversity and equality. The debate consisted of each president, vice president and secretary treasurer nominee answering and rebutting questions asked by the moderator, as well as questions asked by students in the audience and Twitter. The tickets for this year’s SGA elections are: Keyana Miller, Hunter Shipley and Megha Gupta on ticket KHM and Nathan Farnor, Morgan Munsey and Annie Malcom on ticket NMA. Alexandria Wells is running solo. Miller and Farnor are running for president; Shipley, Munsey and Wells are running for vice president and Malcolm and Gupta are running for secretary treasurer. The way the debate was set up allowed a candidate to answer the question they were asked and their opponent the opportunity to respond. The only exception was vice president — since there are 3 candidates running they had to take turns answering and rebutting. 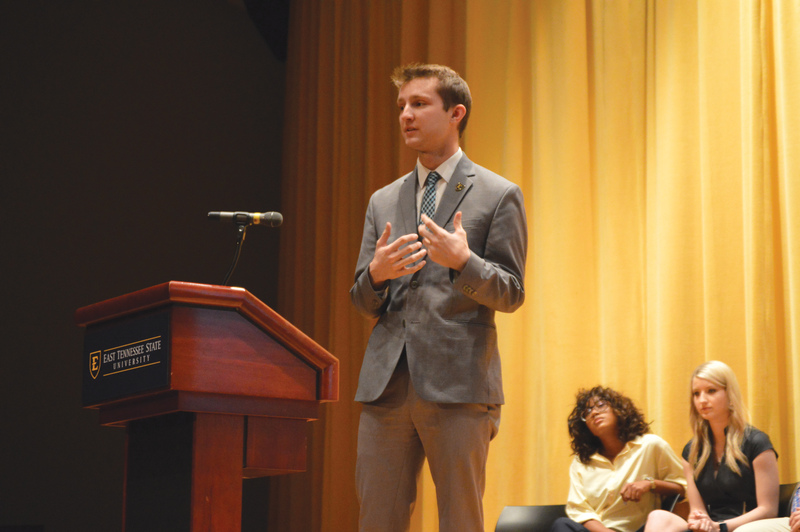 The debate started off with the moderator asking presidential candidate and current vice president Farnor why his ticket, which was elected last year, didn’t follow through with implementing a diversity liaison on SGA’s cabinet as they promised. Farnor responded by saying he believed they took that promise a step further. Miller shared her views on Farnor’s answer to that question. A popular topic of debate was centered on the incident that happened in Borchuck Plaza last semester, involving a former student dressed in a monkey mask during a peaceful Black Lives Matter protest. The moderator asked Miller if she felt that marginalized students believe the university didn’t do enough following that incident, and how her role as president would better support marginalized students on campus. 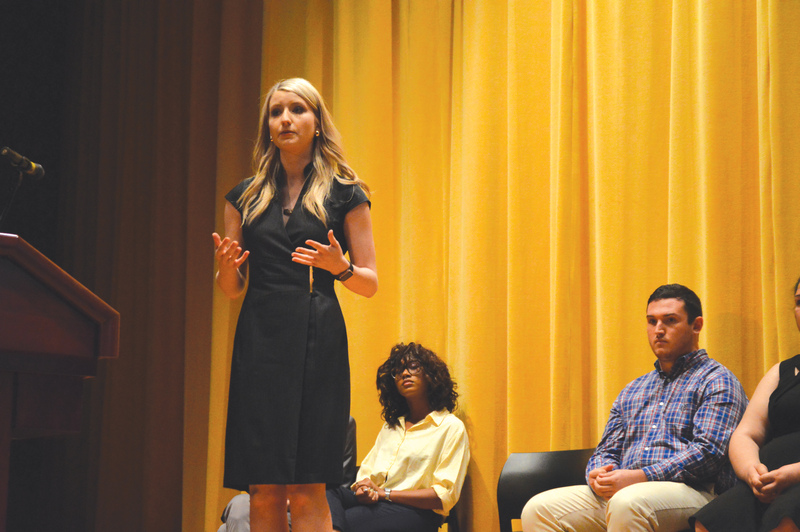 The next debate will be April 5 from 7 p.m to 8 p.m in the D.P Culp Center Forum and will be centered around campus life, student groups and sustainability.